Budapestis the seventh largest city in the European Union and the largest city in and capital of Hungary. It is one of the most beautiful cities in Europe; and is famous for its world heritage sites. 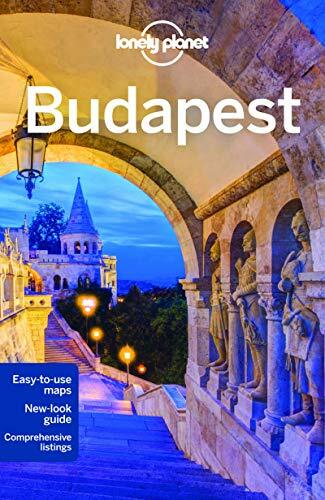 The main tourist attractions of Budapestare its Parliament, the Holy Crown, Saint Stephen’s Basilica, New York Café, Fishermen’s Bastion, Castle Hills, Buda Castle and many more besides. The SaintMargaretIsland, which is situated in the middle of the river Danube, is also a famous location for tourists. Apart from these attractions, the spa culture of Budapestwhich originated in the 15th century is famous worldwide; Rudas Baths illustrates this heritage. Buda Castle: The castle district of Budapest is one of the most prominent places ofHungary. The castle district is covered with various historical monuments, churches, cafés, restaurants, and some romantic walkways. TheBudaCastle or Castle district is a place of entertainment; where throughout the year festivals are staged. The major festivals are: Festival of folk arts, International wine and champagne festival, Pálinka & Sausage festival etc. Wine lovers should go to the Faust wine cellar to taste the various types of wines. 2. Hungarian Parliament Building: A remarkable landmark of Hungary and the oldest legislative building of Europe, the Parliament building of Budapest is the first attraction many tourists visit and see. This is because; the beautiful interior design inside the parliament is amongst the best anywhere. It is one of the costliest buildings ever built in the world. It is not only a building for legislatives but also a open tourist place of Hungary. Visitors can also take photographs inside the building to share with friends. Don’t forget to see the ‘Holy Crown’ of Hungary inside it. The Hungarian Parliament Building, resting beautifully on the Danube. 3. Hősök tere (Heroes’ Square): This is the legendary place of many Hungarian leaders and warriors. The place is surrounded by two famous buildings; on he left the Museum ofFine Arts, on the right thePalace ofArt. TheMillenniumMonument that is situated at the end of Heroes’ square honors to the Arpad and seven Hungarian tribe chieftains. Just above the monument, there is a 118 ft tall Millennial Column; on top of which there is a statue of Archangel Gabriel which is the symbol of Roman Catholic churches. 4. Fisherman’s Bastion: The white stoned bastion is situated beside the fisherman’s town; this is why it is named “Fisherman’s Bastion”. It is famous due to the mixture of non-gothic and neo-Romanesque culture. It is the highest place inBudapest, where panoramic views of the city can be seen. Attractions such as Margaret Island, Parliament, Saint Stephen’s Basilica, concert hall are all visible from this prime position. The Fisherman’s Bastion in Budapest. 5. Chain Bridge (Széchenyi lánchíd): The fifth famous landmark ofBudapest featured here is the Chain Bridge; which connects two cities Buda and Pest via the riverDanube. The 16metres wide and 375metres long bridge is a symbol ofHungary liberty. The festival ‘summer on the chain bridge’ attracts many tourists and locals alike with many programmed activities in the weekends of July and August. The Chain Bridge in Budapest. If you want to see some truly beautiful scenery while you are in Budapest, Margaret Island, which is located in the middle of Danube, is a great place to go. This island can be found just north of downtown and it is an extremely popular spot for tourists and visitors of all kinds. You will find that there are many different sights to see on this island, including some very famous fountains, including the Musical Fountain, which shoots out colorful jets of water high into the air, accompanied by music by Vivaldi, the Rolling Stones, and others. Palatinus Bath is a popular destination for kids who want to have some fun and cool down by splashing around in the wave pool. Those who are looking for real fun and adventure in Budapest will find that Gellert Hill has a lot to offer. Gellert Hill is the highest peak of central Budapest and is named after Saint Gerard. Start your hike up this very steep hill in by Gellert Baths; it will take about an hour to walk up to the Citadel, where you will find viewing platforms down onto the Danube. On this hill is the Liberty Statue, which is visible from a number of areas throughout the city. You will have the opportunity to visit the Gellert Hill Saves on your way up as well, and the Saint Gellert Monument is located on the opposite side. The Budapest Bike Breeze guided tour is perfect for visitors, and it can provide you with a great way to learn more about the surrounding area while seeing some truly memorable sights. The tour groups are small and the routes carefully chosen to include bike lanes, parks, and streets that are devoid of cars. You can also choose to take a kick scooter tour, canoe tour, and wine tasting tours for some more fun while you are visiting. The Wheels and Meals bicycle tour is another great option for those who want to visit historical sites throughout the city while stopping for refreshments along the way. Andrassy Avenue is a truly exclusive boulevard in Budapest, as well as a UNESCO World Heritage-listed and lined with all kinds of expensive shops and breathtaking villas. Hero’s Square is located on one end and Erzebet Square can be found on the other. Take a leisurely walk along this boulevard and experience everything it has to offer. The Hungarian State Opera building is definitely a great place to visit if you want a dose of culture and art, and it is one of the most famous buildings in the entire country. The rooftop 360 bar will provide you with a place to relax and get a drink between sight-seeing. If it is a beautiful day out while you are visiting in Budapest, why not take a cruise down the beautiful, well-lit Danube River? A cruise down this river will take you by all sorts of buildings along the banks, each of which twinkle and reflect off the water. These cruises are perfect for couples who are in this country for a romantic getaway, anniversary, honeymoon, or just for some fun and relaxation. There are one hour sightseeing cruises in the evening with audio headsets that you can wear to learn more about the history of Budapest, including all kinds of interesting facts that you probably didn’t know. The Danube River cruise is highly recommended by many people who have visited this country, so it is certainly worth looking into. Image Credits: Wikipedia 1, 2, 3, 4 and 5. Hungary is such a lovely place. Will come very soon to visit all these places. Thanks for sharing.